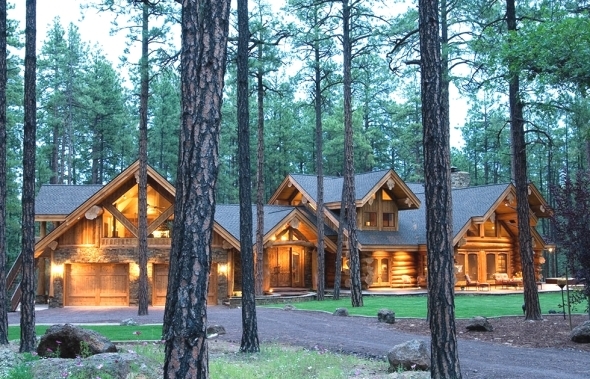 Pinetop is located in the White Mountains of Arizona and ranging in elevations from 7000 to 7500 feet. Situated between the Apache/Sitgreaves National Forest and the White Mountain Apache Indian Reservation gives Pinetop the unique beauty and seclusion it is famous for. Pinetop gets approximately 24 inches of rain and 73 inches of snowfall per year. On average, Pinetop offers 276 sunny days per year with relatively low humidity. The summer time high is between 80-90 degrees. The winter time low is around 20 degrees. Blue Ridge Unified School District is the k-12 public school for Pinetop residents. Blue Ridge Chess Team holds title of Region Champions for the 5th straight year. A High School Junior won the women’s 5K race and a sophomore finished 2nd in the men’s 5 mile race at the 32nd annual National Catholic Championships at the Notre Dame Cross Country Course. Her time (17:16) was the fastest since Notre Dame’s native ran 16:52 in 1999. It’s also the 3rd-fastest time in the meet’s history. A Senior has been selected as a National Merit Scholarship Semifinalist. He is 1 of 16,000 high school seniors nationwide who have the opportunity to compete for 8,300 National Merit Scholarships worth more than $34 million that will be awarded next spring. Merit Scholars are chosen from finalists and represent the highest academic achievers as well as leaders in their schools and communities. Blue Ridge Schools are now involved in a program called “BT”, a program developed and supported by Vail School District in Vail, Arizona. facilty members attend BT training prior to the start of school. BT is the acronym for “Beyond Textbooks”, a major initiative launched this year as an effort to raise test scores by providing online resources to assist teachers in both planning and delivering instruction that meets the Arizona State Standards prior to AIMS testing. One of the scouts hired to help build the fort was a man named Corydon Cooley who arrived in 1870. Corydon married 2 of the White Mountain Apache Tribes chief’s daughters, which managed to keep the peace from war during the late 1800’s. As the frontier expanded farther west into the White Mountains of Arizona’s territory, it seemed ideal for families to spread out and for homesteads to be created. A bachelor named Johnny Phipps is believed to be the 1st settler for Pinetop and ran a saloon/store buying and selling liquor and produce for the soldiers at Fort Apache. In 1879 the first of many Mormon settlers arrived. Called by the Church of Jesus Christ of Latter-day Saints to help colonize Northern Arizona William L. Penrod and his wife, Polly Ann Young left Utah Oct. 26, 1878 with two oxen, horses, their nine children and enough supplies to last six months. They arrived at Willis Ranch on New Year’s Day, 1879 and settled in Phipps’ house. When Phipps died, Walt Rigney took over and soldiers began calling the place Pinetop, their nickname for Rigney. First called Penrod after David Penrod, the community was growing rapidly with a store, a saloon, a post office and a small school. A telegraph line between Holbrook and Fort Apache was built in 1889. The Penrods had a lumber mill built and running as early as 1891.The Post Office Department abandoned the name Penrod but accepted the name Pinetop January 31, 1895. Until 1906 the only residents were the Penrod children. In the early 1950’s ideas for a golf course in the forest began to be developed by Southwest Industries. In 1954 the Forest Service approved the purchase of some land that had been used as a Civilian Conservation Corps Camp. White Mountain Summer Homes and White Mountain Country Club were developed on the land from this purchase. In 1960 Southwest Industries completed a land exchange for 1,196 acres in Pinetop where the plans were to build a new mill but instead sold the property to Bob Fernandes, Glen Jones and Frank Crosby. In 1965 Pinetop Country Club was developed and the golf Mecca of the White Mountains was further developed. Pinetop and neighboring town Lakeside incorporated as one town in 1984. Pinetop-Lakeside is at an elevation around 7,000 feet. Many of the residents who were born and raised in either town or have lived here several years still refer to the separate communities. To this day there is a Pinetop Post Office and a Lakeside Post Office, a Pinetop Fire Station and Lakeside Fire Station.